23sep2:00 pm5:00 pmFamily Picnic and Carnival! !Come One! Come All! Join us for our annual Preucil School All-Family Picnic to celebrate the start of another school year! Grilled hamburgers & hot dogs will be provided so please bring a side dish or a dessert to share. Tableware and eating utensils will also be provided. 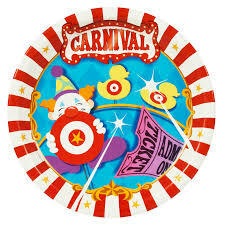 There will be carnival games for all ages to enjoy! (Photo booth, bocce ball, horse shoes, tug of war, balloon pop, bag toss, face-painting, air brush painting and more!) Show your school pride by wearing your Preucil t-shirt! This Picnic will be in Shelter #6, Lower City Park, Iowa City. The Picnic and Carnival is sponsored by University of Iowa Community Credit Union.